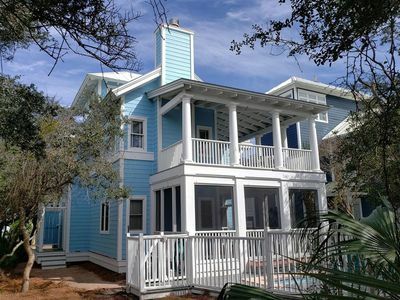 HEAVENLY HIDEAWAY, Seagrove Beach, Private Pool, Steps to Seaside & the Beach! LOCATION, LOCATION, LOCATION! 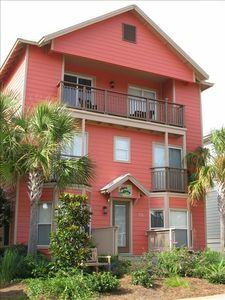 TWO BLOCKS TO SEASIDE, TWO BLOCKS TO 30A AND WHITE SAND BEACHES! 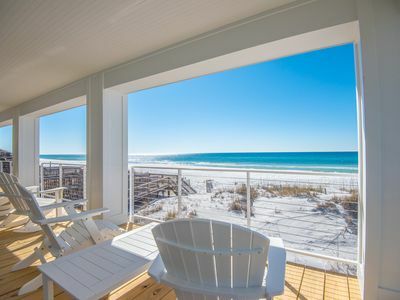 OLD SEAGROVE IS THE BEST OF BOTH WORLDS. 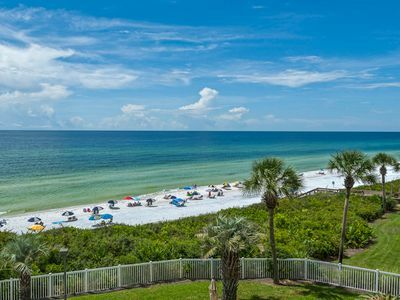 2 BEACH CHAIRS AND UMBRELLA INCLUDED WITH YOUR STAY! 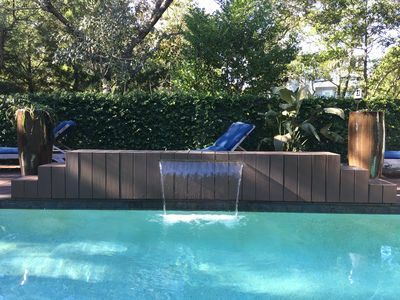 BEAUTIFUL PRIVATE POOL (option to heat) and Waterfall are perfect for sun and fun in the walled courtyard with plenty of deck space to lounge, grill, and swim! 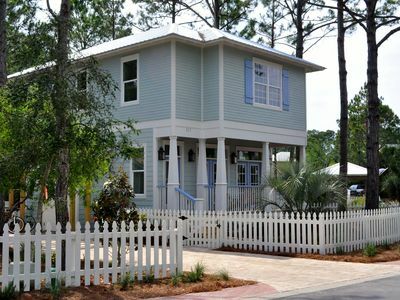 Live Oaks, Magnolias and Pines provide seclusion and a relaxing atmosphere. NEW LIGHT AND BRIGHT MODERN KITCHEN stocked for foodies! Cambria Quartz Counters and a Large Waterfall Island Bar provide plenty of area for gathering, food preparation and seating. The New Custom Hutch houses a Coffee Bar complete with filtered water, a dual Carafe/K-Cup coffee maker, Coffee Press and an Ice Maker. 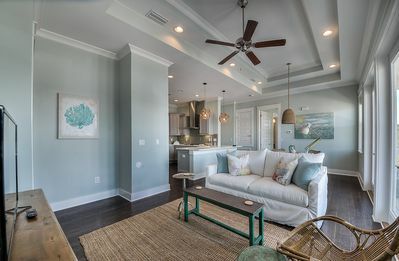 The spacious kitchen and den look out to the pool through large floor to ceiling sliding glass doors that allow you to easily view the trees, water feature, and the kids swimming in the pool! The new large screen TV is perfect for movies at the end of the day! THE WELL APPOINTED MASTER BEDROOM is relaxing with a comfortable King bed and sitting area which opens to the pool deck and a lovely view. It offers a beautifully remodeled ensuite Master Bathroom and Walk-in Closet. Two Queen Bedrooms offer a comfortable space to rest, read, and watch TV with adjoining tub/shower baths. The 4th Bedroom/Media/Game Room offers two twin beds and with a large screen TV, X-Box, game table and fun place to hang and play. 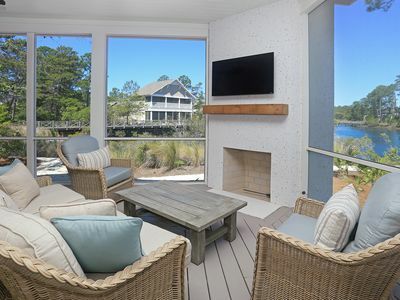 THE SUNROOM, an extension of the den, provides a bright comfortable area perfect for your morning coffee and a book with sliding glass doors that open to the outdoor propane grill, deck and patio dining set. 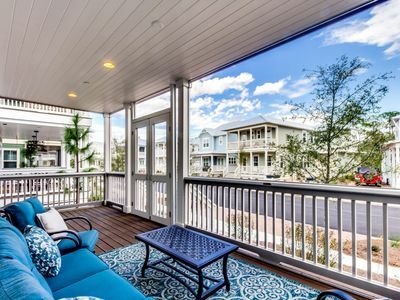 THE SCREENED PORCH offers another casual place to enjoy! A Hot/Cold Outdoor Shower situated off the screened porch is the perfect place to clean off salt and sand after a day of fun as well as stow those sandy flip flops, buckets and shovels! As part of our RECENT REMODEL, beautiful large porcelain tile has been installed throughout the home, a spacious walk-in shower has been added to the Master Bathroom, brand new appliances have been installed, and a Tankless Hot Water Heater means there is constant hot water for everyone in the house! 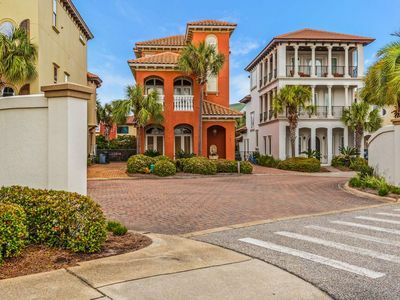 Walk or bike from the house to the beach, boutiques, wonderful restaurants, lakes and parks. 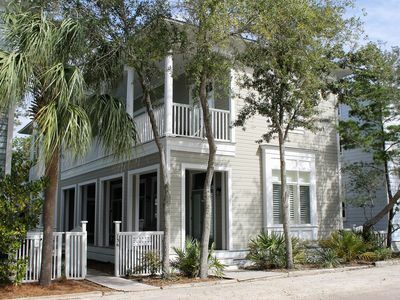 We just know that Heavenly Hideaway is the perfect vacation home for YOU! 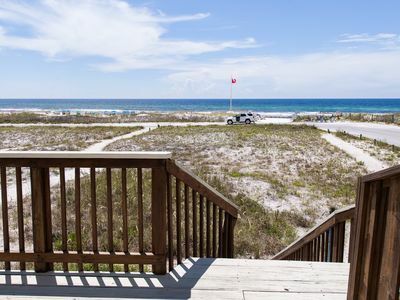 GRAND PLAYA 301: Spacious Gulf Front Condo with Amazing Views!! 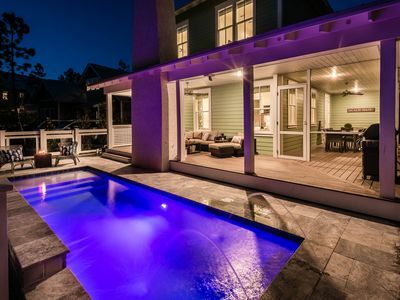 New Construction with Private Pool and Outdoor Fireplace! Includes 5 bikes! 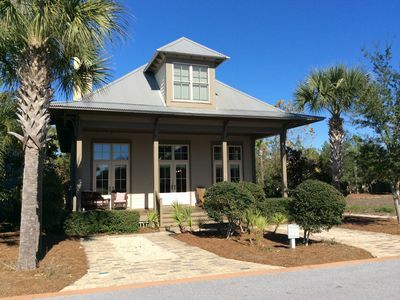 Beautiful Getaway Cottage 4BR/4.5BA Great Location! 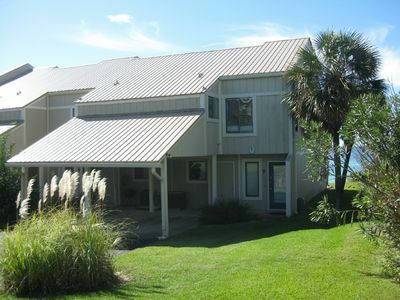 Gulf Front & Pet Friendly! 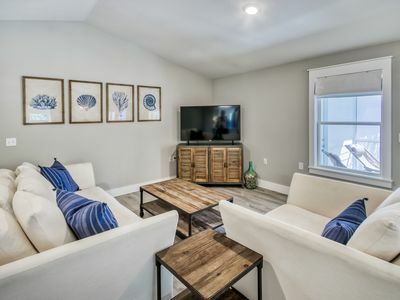 Renovated & NEW to Rental Program! 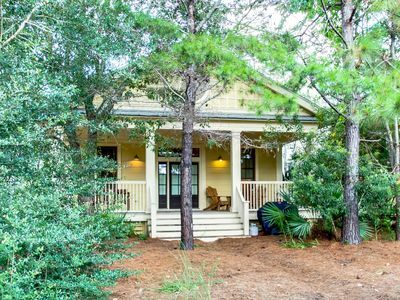 Idyll Pond Cottage, Coastal Chic At Its Best In The Heart Of Seagrove Beach! 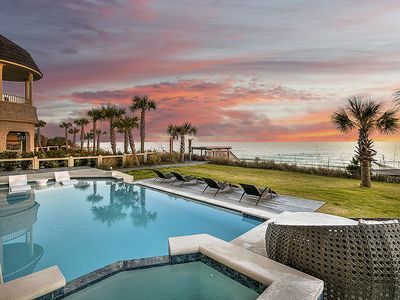 Stunning Gulf Front Mansion in Seagrove Beach with Private Pool and Beach Access! Pet Friendly! 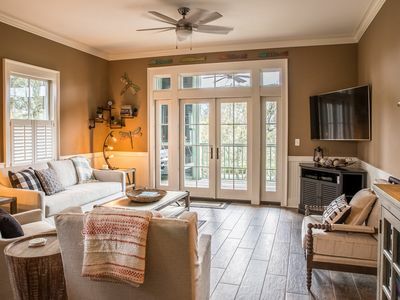 Beautiful, spacious cottage! Screen porch! 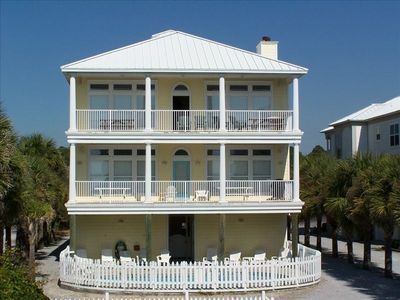 1/4 mile from beach! Playa Cerro Azul - Family Friendly - Less Than A Minute To Beach - Private Pool - Free Beach Setup!! 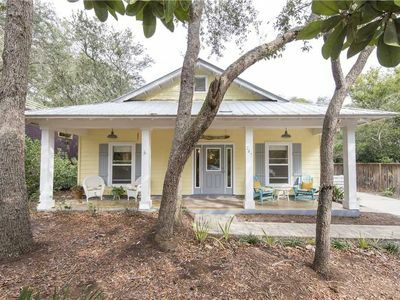 Cute Beach Cottage on 30-A | One Block to the Beach | SMALL DOG FRIENDLY!